Open House Pros and Cons for Sellers- What Will You Decide? Many home sellers expect their Realtor to host an open house as part of the marketing activities, but some labor over the decision and others outright forbid it. Starting with the Cons, here are some points to consider that may help sellers decide. – I’ll have to spend a day cleaning and straightening up! – Don’t want the Looky-Loos, Nosey Neighbors and Strangers traipsing through my house. – No one’s going to buy it during an open house. – Don’t want anything broken, messed up or stolen. 1. An open house is typically scheduled well in advance allowing you plenty of notice before having to tidy up, unlike last-minute showing requests that inevitably occur after all your party guests just went home or your kids just dumped their belongings all over the floor. 2. Likewise, sellers with pets will have ample time to arrange for a ‘furry’ field trip as the case may be, instead of having to scramble to pull pets out of the house when the call from a buyer’s agent comes in. 3. Yes, the open house is a chance for your neighbors to come in and see. This enables them the opportunity to spread the word to friends, family, and potential buyers, or even to consider trading up or down themselves. 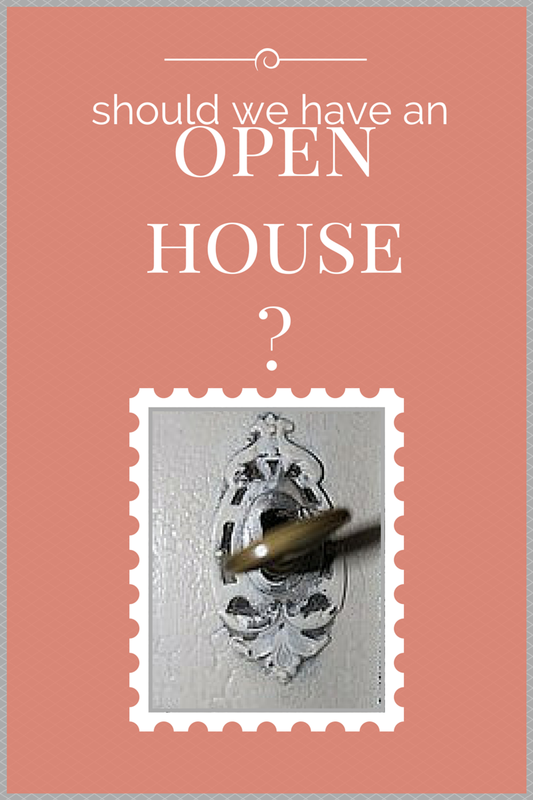 Many agents send direct invitations to the neighbors to come to the open house. Most people move very close to home, within about a 10-mile radius, so you never know! 4. Although it does happen, most homes do not sell to someone at the open house. However, this is an additional form of marketing that gets the word out about your listing. The greater the exposure you have, the better the chance for your house to sell for the best market value. 5. The multi-hour time block reserved for an open house gives you the perfect excuse to go out and do something fun for the day. If you are careful to store away or remove valuables, fragile items, and prescription drugs, you are most likely to have a smooth open house event, and you can enjoy a worry-free day. 6. An open house gives potential buyers a chance to experience the chemistry they may have with the home after being attracted to it from photos online. 7. An open house enables a pool of buyers that don’t have an agent yet to come and consider it as their new home. 8. One of the most important benefits of an open house is that it’s an event that gives your Realtor a perfect reason to do a big round of promotion for your listing. The promotion may include everything from email announcements to buyers and agents that link back to your online listing. It can include a plug on all the social media outlets. It may warrant a postcard mailing and door hanger invites to the neighbors. The big day at your listing gets posted on numerous real estate and brokerage websites, which in turn boosts your listing exposure in online search results. The local paper promotes open house events. And let’s not forget the yard signs pointing out your fabulous listing to everyone in town. 9. Last but not least, the open house enables a “show time” opportunity for your property that is not always practical for everyday appointments. Your agent can ensure that the lights are all on, the window treatments are open, music is playing, flowers are on the table and the scented candles or simmering apple cider are working their magic. This creates an excellent first impression for all that attend. And these visitors could be the ones to direct the final buyer your way! So when you become a seller, what will you decide? Categories: Condos, Decorating, Fairfield County Housing Market, Fairfield Housing Market, Home, Home buying, Home selling, Open Houses, Pricing to sell, Real Estate, Relocation, Southport | Tags: buyers, buying, closing, Condos, Connecticut, CT, fairfield, home staging, open house, single family homes | Permalink.